Along with Bilston West and Windmill End, Gornal Halt on the GWR 'Wombourne Line' from Kingswinford Junction to Oxley Junction, seen above in 1954 (photo: Michael Hale), has given me the most serious headaches in pinpointing its exact location. 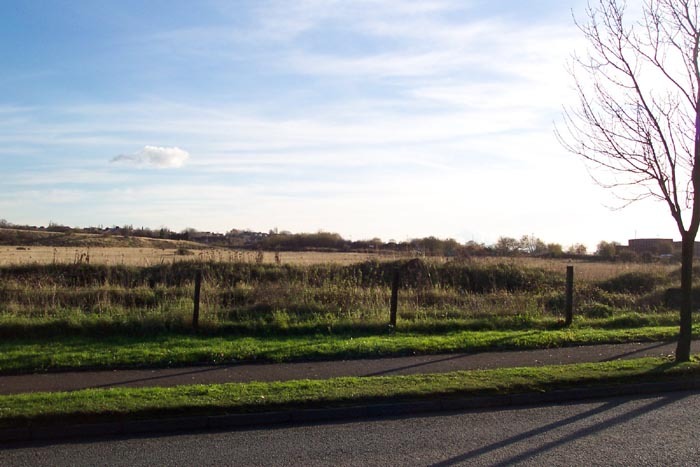 Following much pouring over old OS maps and speaking to someone who lived in the area some years ago I have finally pinpointed its location but unfortunately, due to the complete remodelling of the surrounding area, there are no clues as to its existence left today. 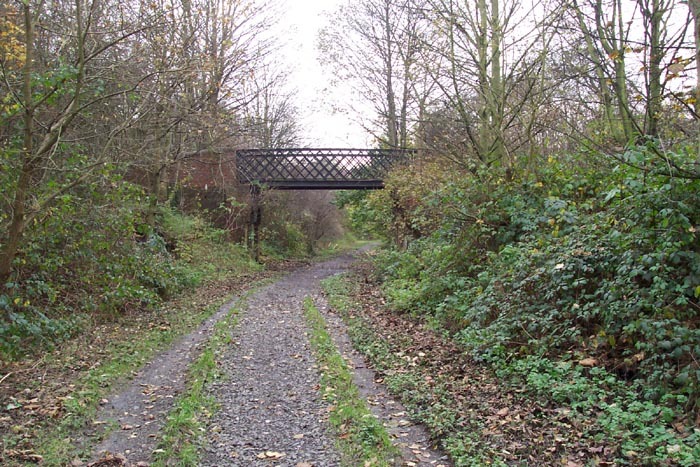 However, in order to make-up for a rather 'bland' set of photographs I have added a second page of shots taken on the trackbed of the old colliery railway that ran through Gornal to Baggeridge Colliery that will hopefully be of some interest: at least there are some railway remains to look at! 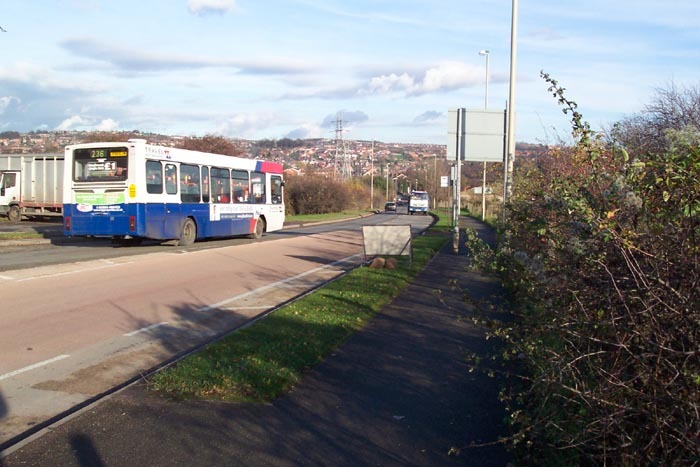 Above-left we are on Tansey Green Road looking towards Stallings Lane. It is rather hard to picture, but we are standing on the bridge seen in Michael Hale's photograph above from 1954! As can be seen, the cutting has been filled-in and, to compound matters further, the alignment of Stallings Lane has been altered since the days of the line making precise identification of the spot nigh-on impossible. 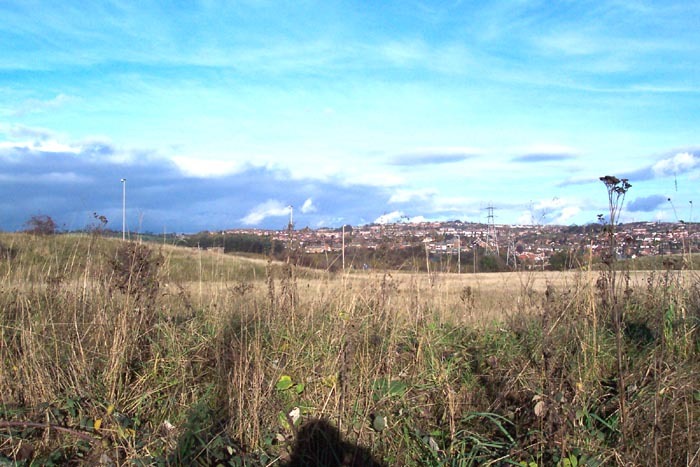 Above-right we are on Stallings Lane looking back towards Tansey Green Road. Above-left we are in roughly the spot where Michael Hale took his photograph in 1954. 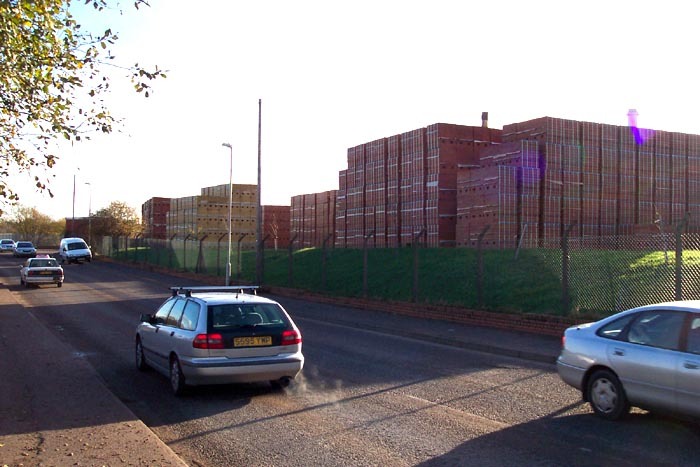 Above-right we are looking down Stallings Lane from its junction with Tansey Green Road. The railway would have crossed Stallings Lane just ahead of the bus in this shot. 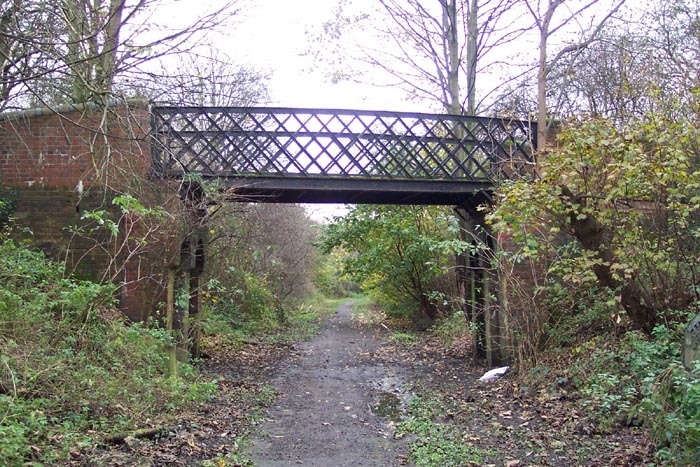 Originally, the railway crossed here with a level crossing but when the line was doubled, the trackbed was lowered 12 feet and bridges installed. 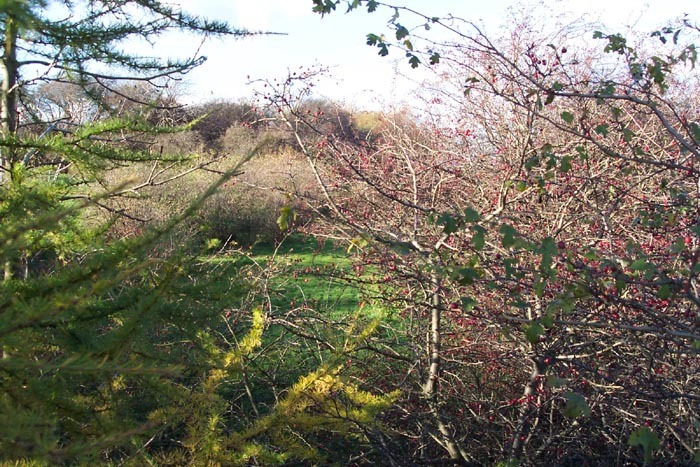 Above-left we are again on Stallings Lane looking through bushes at the rough site of the trackbed heading off towards Himley. 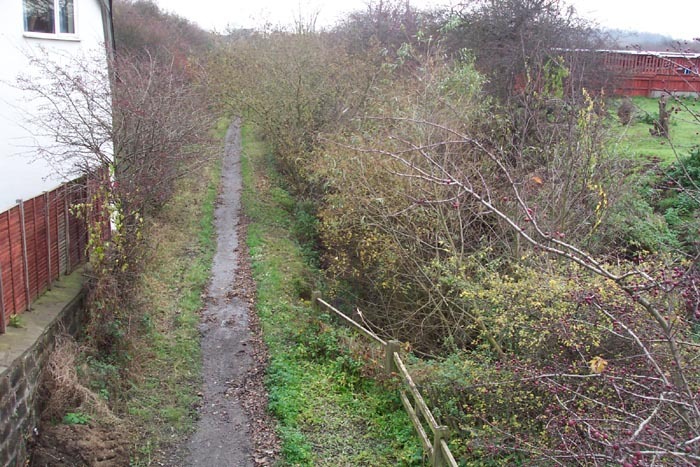 Above-right we are on Tansey Green Road looking at the trackbed heading off towards Pensnett: as can be seen, the whole of the railway's path at this point has been removed. It is a pity that, considering the rest of the railway, the line here has vanished. 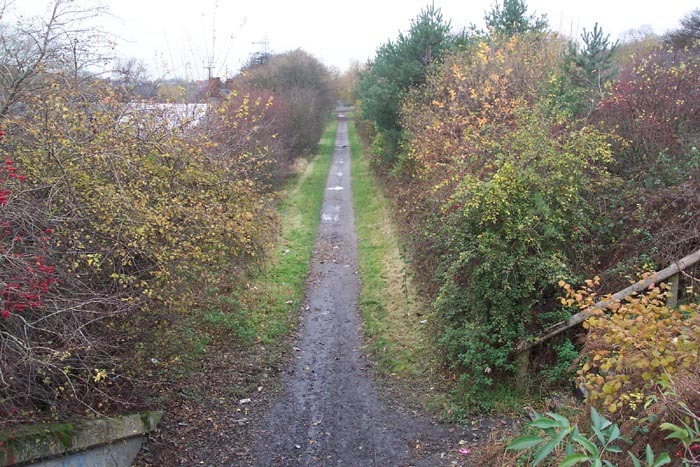 The northern end of the Wombourne Line is now preserved as a nature walk and the southern end still retains its rails with murmurs of it reopening under EWS to serve a yet-to-be-built freight terminal on the site of the ex-Perrier bottling premises at Pensnett. Following my disappointment at the lack of railway relics at the site of Gornal Halt I decided that I would include some shots that are from another project I'm working on. 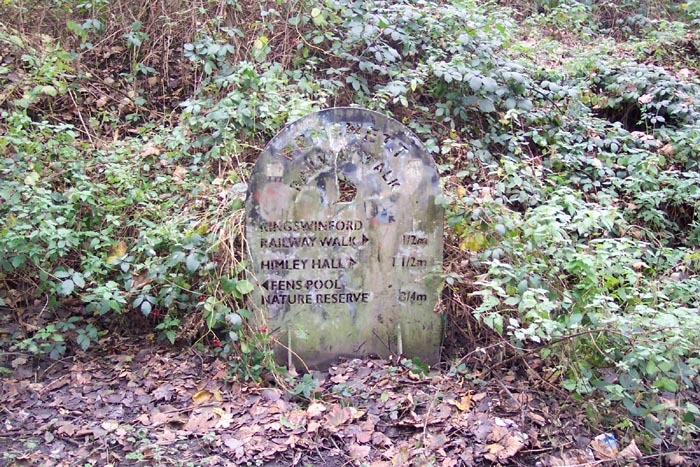 They show the remains of a colliery line from Round Oak to Baggeridge Colliery that passed through Gornal a short walk from the site of Gornal Halt and had a connecting junction with the Wombourne Branch between Oak Lane and Gornalwood sewage works. 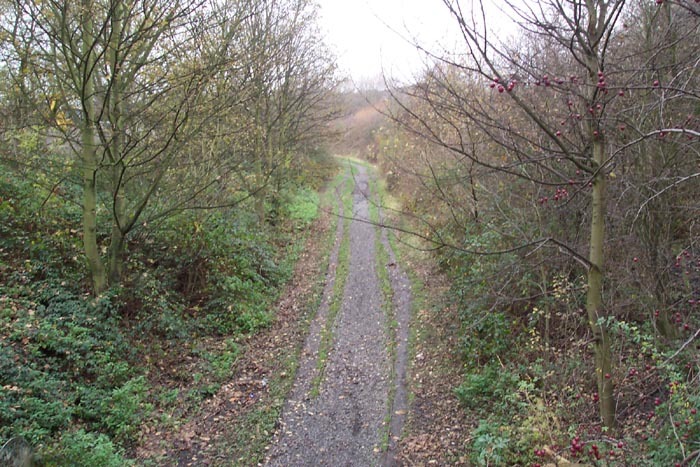 Above-left we are standing on Cinder Road watching the trackbed, now a 'nature walk', heading off towards Baggeridge Colliery. Above-right we are still on the Cinder Road bridge but this time looking in the opposite direction towards Pensnett. 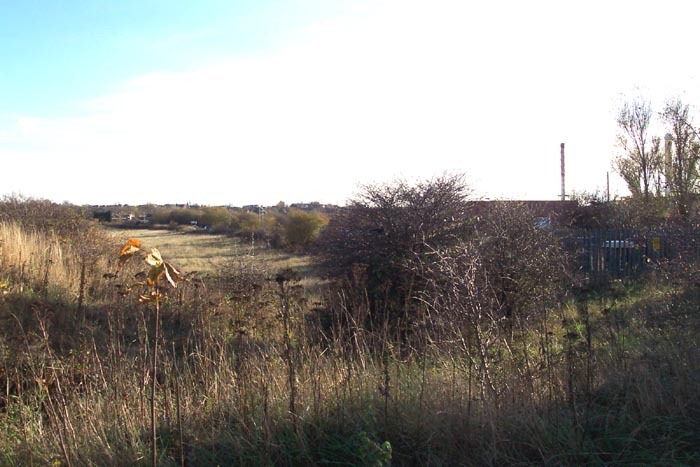 Cinder Road changes its name to Stallings Lane just to the right of this position with Gornal Halt being some half a mile up the road. Above-left we are on the trackbed looking at the rather unaesthetic bridge over the track of Cinder Road. Above-right we have walked through the Cinder Road bridge and headed forwards a few hundred yards where the bridge shown crosses the track at Forge Farm (noted on old maps as Forge Inn). This was quite a good find and something I wasn't expecting. Above-left we get a closer look at the bridge looking in the direction of Pensnett. The bridge is in remarkably good condition. 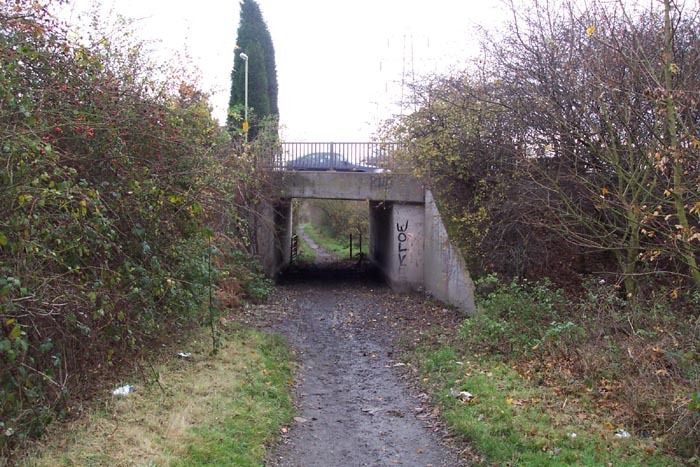 Just to the right of the bridge in this shot is the plaque seen above-right showing that the track forms part of Pensnett Railway Walk and a nature trail. Above-left we are looking at the top of the footbridge towards Forge Farm that lies ahead-right. 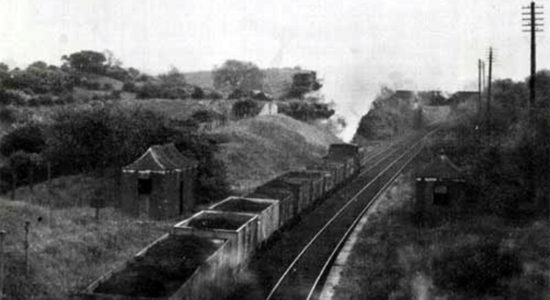 Above-right we are on top of the bridge watching the trackbed head-off towards Baggeridge Colliery. This is an interesting walk that I would definitely recommend (although maybe wait until drier weather! ).